The evenings are growing darker and the air is becoming colder and crisper. Winter is on its way. What better way to take shelter from the weather than curled up with a good book? When I was a primary teacher, carving out some time every day to read a book aloud was crucial. Aside from the educational benefits of listening to stories, it gave us a moment of fun or excitement every day that the whole class shared. (It also offered some welcome respite from the endless carol practice that seemed to fill my classroom at this time of year.) Now I’m the parent of primary-aged children, I try to make sure we have the same time to share a great book each evening. Although, thanks to my four-year-old daughter, I never quite manage to escape the carol singing! So, here’s a collection of wintery books. Some old, some new, but all perfect for winter reading at home or at school. 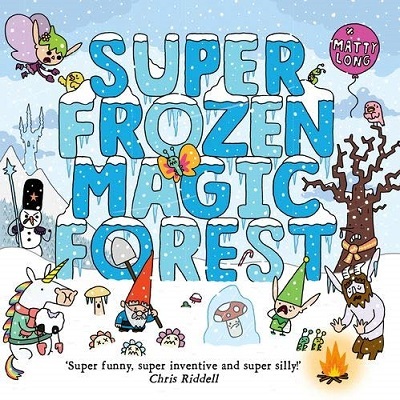 At last – a winter instalment of the award-winning Super Happy Magic Forest series! Winter has come to the forest and the inhabitants are finding it too cold to frolic. The heroes must journey to the Frozen North to defeat the Ice Queen and her army of snowmen. A laugh-out-loud story for children and adults alike. 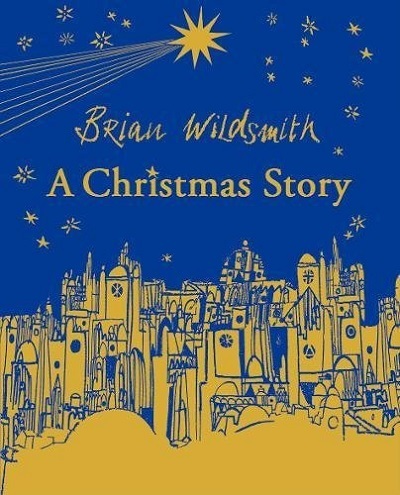 This glorious retelling of the nativity story by celebrated writer and illustrator Brian Wildsmith has become a Christmas favourite right across the world. 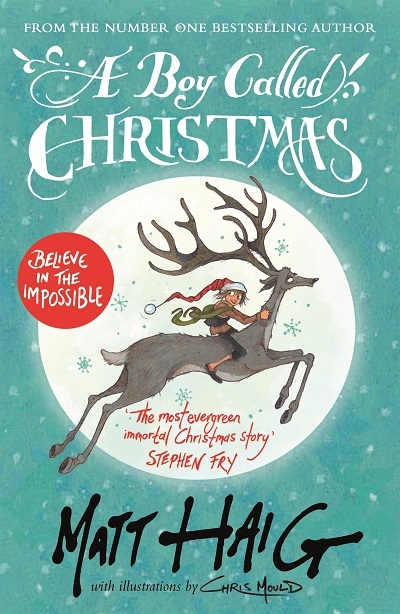 Using the perspective of a girl and the donkey she rides, this book is perfect for telling the story of Christmas in a way that will resonate with children. Winnie and Wilbur are wondering who gives Santa his present, so they set off on an epic quest to find out, having plenty of fun along the way. 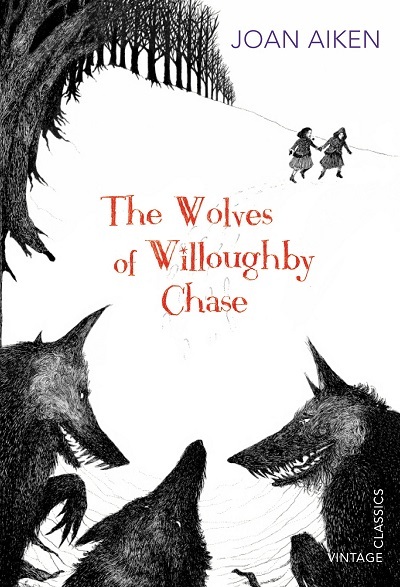 A great book to read aloud (and do the voices!) and children will enjoy the energetic illustrations. 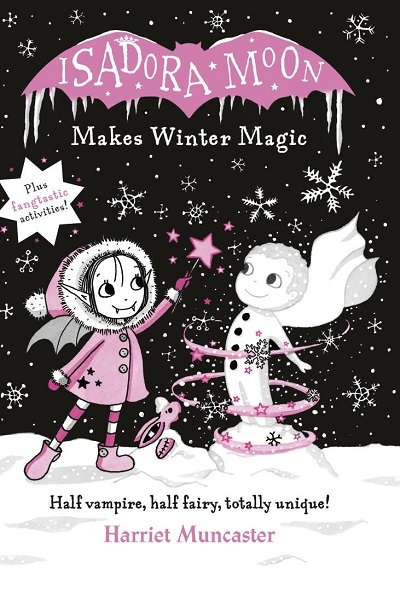 Isadora the half-vampire-half-fairy loves playing in the snow, and it is all the more fun when her magical creations come to life! Now she needs to find a way of stopping them from melting away. A great story – with the added bonus of being chock-full of activities and things to make – make this the perfect holiday read. Snow has fallen, which means sledging, skating and snowball fights! No-one is safe from Nixie the bad, bad fairy and her misfiring wand. When Nixie notices that one fairy is missing out on the wintery fun, she decides to put matters right. 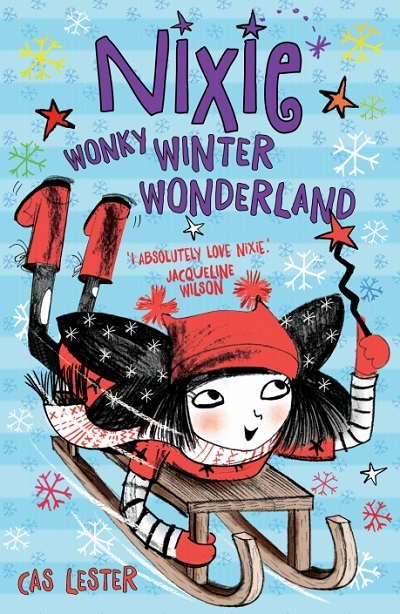 This jolly winter adventure for the mischievous fairy is a joy to read aloud and, as it is part of series, children will enjoy seeking out Nixie’s other adventures once they’re hooked. 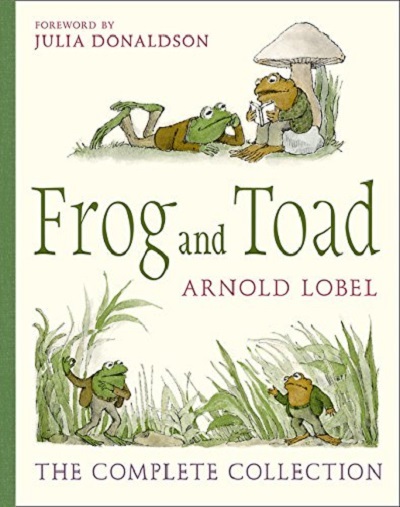 Best friends Frog and Toad share adventures together all year round, but their winter stories are some of the best. In ‘Down the Hill’, Frog persuades Toad to embrace the cold of winter by trying sledging. It does not go entirely as planned. In ‘Christmas Eve’, Frog is late and Toad begins to make plans to rescue him from a series of imagined mishaps. These stories, and the ones set in other seasons, are simply perfect. Sika and Shen must overcome trolls, yetis and sea monsters, not to mention the other beastly contestants, if they are to win The Race to the Top of the World! Luckily they have brains, courage and a sled powered by pugs. 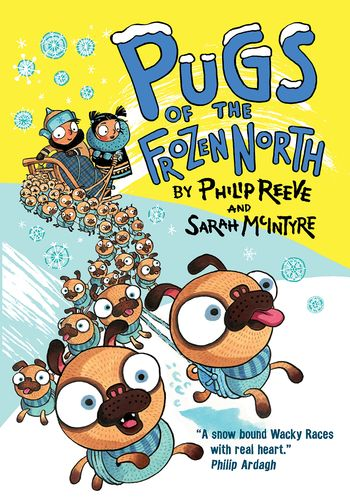 Children of all ages will enjoy this Wacky Races romp, chuckling as they go at Philip Reeve’s words and Sarah McIntyre’s illustrations. Every page is packed with intricate details to explore in this visual re-telling of Ernest Shackleton’s expedition to the Antarctic. The text is full of information, explained through diagrams and drawings that bring the story into focus for younger readers. 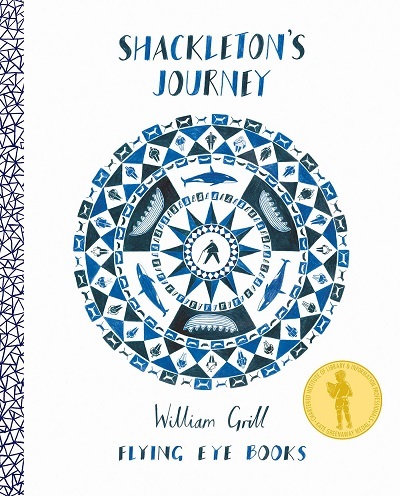 Fascinating and beautiful – everything that non-fiction for children should be. 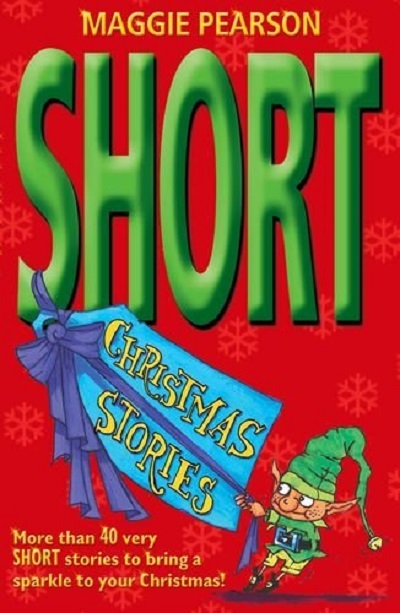 Forty short (some very short) stories in one book all around the theme of Christmas. This book is the perfect book for a time-pressed teacher or parent to dip into at this busy time of the year. While they might be short, the discussion and ideas that will stem from this collection certainly won’t be. 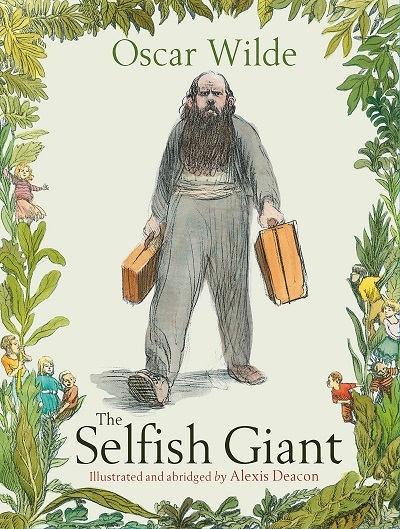 The Selfish Giant won’t let anyone share his beautiful garden and so winter comes and stays forever. It takes a meeting with a child to open the giant’s heart and allow spring into the garden once more. Alexis Deacon creates a wonderful version of Oscar Wilde’s original short story. 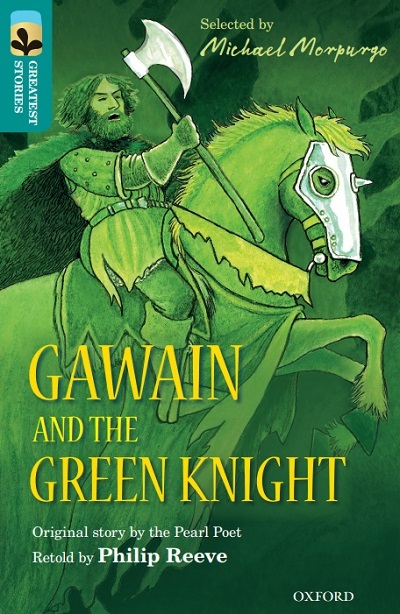 One snowy Christmas, the Green Knight rides into King Arthur’s court and issues a terrifying challenge. One year later, young Sir Gawain rides out to meet him. Will Gawain be able to fulfil his quest and prove that he is worthy to sit at the table of King Arthur? Acclaimed author Philip Reeve crafts a glorious retelling of the 14th century poem by the Pearl Poet. The writing is perfect, with not a word wasted in capturing the drama of this classic tale. 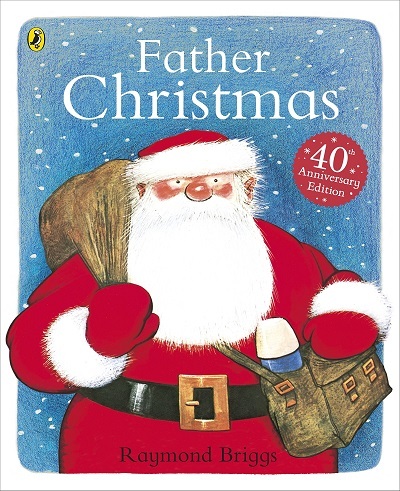 ‘You are about to read the true story of FATHER CHRISTMAS…’ begins the book, and we are not disappointed. 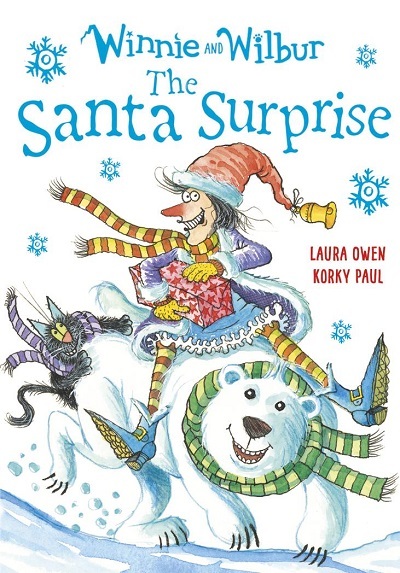 Funny, exciting and warm-hearted, this is a perfect book to read aloud in the run up to Father Christmas’ visit itself! Bah humbug! Ebenezer Scrooge hates Christmas. But will he change his ways after a series of ghostly visits one Christmas Eve? We have to say, the chances are looking quite good, but finding out how he learns the error of his ways is a reading experience no one should miss. 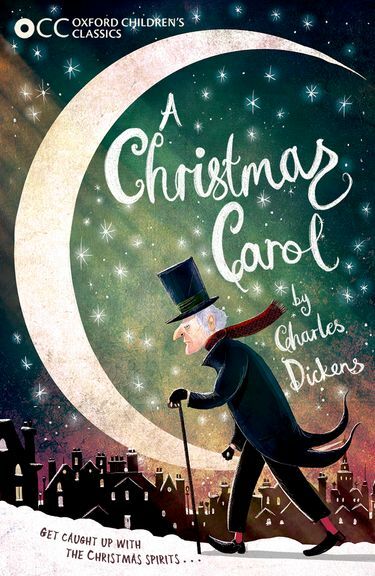 This edition also brings together Charles Dickens’ other Christmas stories into a splendid collection. 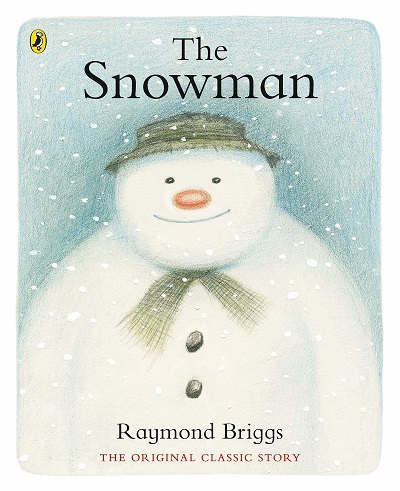 A great book to read aloud or read alongside older children. As the dark nights begin to draw in, it is the perfect time to read this classic of children’s literature. It is winter in a past that never happened (the fictional reign of King James III) and the wolves are running! Action, adventure and wit, this book is a classic for a very good reason. For more winter book recommendations, as well as festive activities and videos, take a look at our Christmas pages.